Barbara Hulanicki, the “godmother of fashion” in 1960s London, is best known for BIBA, high fashion boutiques she designed with the comfort of your living room. 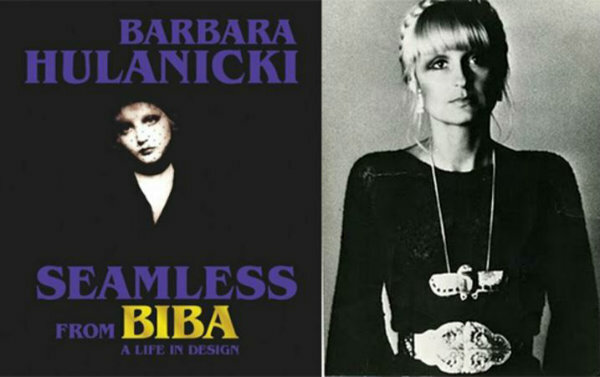 With a combination of Ms. Hulanicki’s artistic talent and charm, everyone with a fashion sense owned a BIBA mini dress, maxi coat, shirt, jacket, and accessory, especially with Twiggy and Kate Moss modeling her creations, and musicians such as Rolling Stones’ Ron Wood and Mick Jagger, wearing her clothing. Barbara later brought her artistry and style to South Beach (Miami) where she designed the interior of Woody’s – a pink neon nightclub owned by Rolling Stones guitarist Ron Wood; Sempers, a bordello-looking nightclub in the Waldorf Hotel; and Chris Blackwell’s properties, including the Marlin Hotel. “Order of the British E mpire” because of her vast contributions to the International World of Fashion — Barbara Hulanicki is warm, genuine, beautiful and totally likable. Regarding Chris Blackwell: he was a producer and founder of Island Records. (Music acts signed were Bob Marley, The Spencer Davis Group, Nirvana, Traffic, King Cr imson, Emerson, Lake & Palmer, Jethro Tull, Cat Stevens, Grace Jones, Roxy Music, Robert Palmer, Melissa Etheridge, U2, to name a few.) In the 1980, when South Beach was evolving from a deteriorating retirement village to a hot-spot tourist destination, Chris Black well was one of the investors to buy aging Art Deco buildings. He eventually came to own 10 of them.